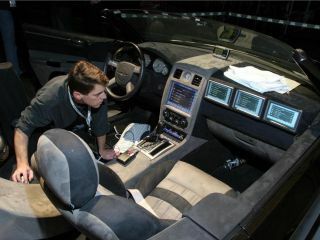 Mobile internet access looks set to revolutionise car and laptop use by 2011, according to a report from telecom analysis firm Berg Insight . The company predicts that 50% of new cars and one-third of new notebook PCs will feature mobile broadband technology in just four years from now. By then 100 million mobile broadband devices will be sold every year, according to the report. Sales are currently around 23 million units. "We currently see two strong trends driving demand for wireless M2M and mobile broadband," said Tobias Ryberg, senior analyst at Berg Insight. "Firstly, more and more automobile manufacturers are incorporating telematics units as standard equipment in their vehicles. Secondly, the integration of High Speed Download Packet Access (HSDPA) in notebook PCs is gaining momentum as mobile operators launch high speed HSDPA networks," Ryberg said. He also predicts that utility meters, security alarms and payment terminals will be areas where wireless communication between devices will grow rapidly. The report from Berg Insight points towards several catalysts for the adoption of mobile communication in a wider range of devices other than handsets. These include low cost 2.5G and 3G chipsets with integrated GPS capabilities, and flat rate internet access tariffs from mobile operators using HSDPA. Regulatory initiatives such as the EU 's plans for an automatic emergency call system for vehicles are also highly important, according to the report.